We’ve sourced some brilliant drink bottles that will not only help quench the kids’ thirst, but reflect a little of their personality. Click through to see what’s caught our eye. Kids can often be a little less than careful with their belongings, and drink bottles can cop quite a beating. 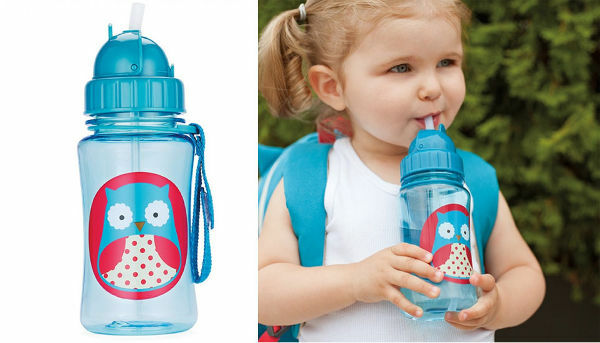 The Kid Basix Safe Sporter drink bottle ($24.99) is designed to be durable, and keep the contents cool. 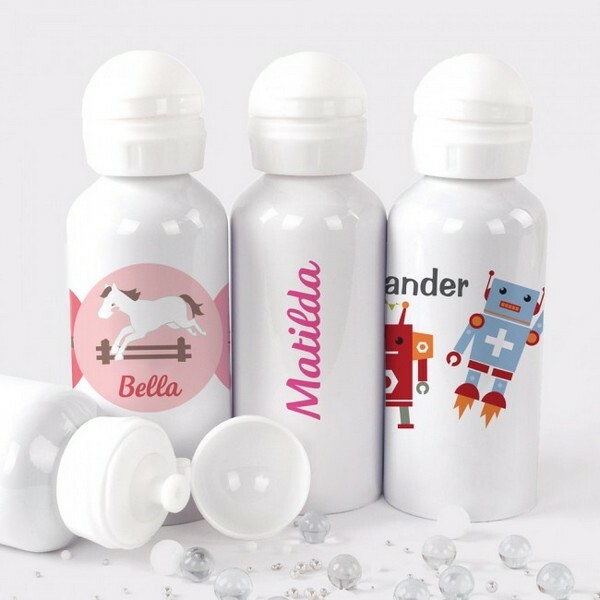 These drink bottles from Spatz cover a few bases: they keep drinks cool because they’re made from stainless steel, and they’re personalised – bonus! They also have a great non-slip base to help avoid accidents. They cost $24.95 each. If cheap and cheerful is your thing, you and the kids will love Aquapals drink pouches. They come in fun animal shapes and because they roll up flat when not in use they take up almost no room at all. And the little clip means these lightweight bottles can be placed within easy reach. They retail for $9.95 each. 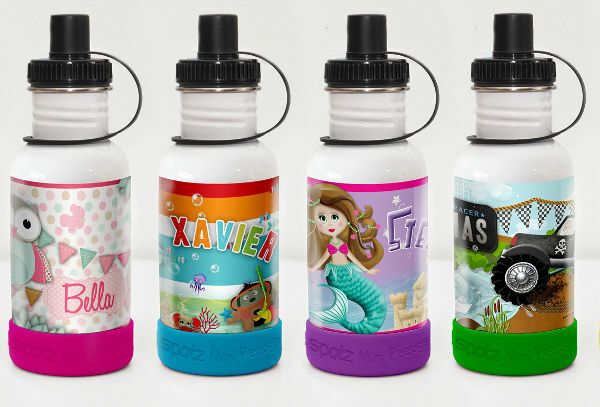 Stuck On You creates a great range of kids’ drink bottles that can be personalised with names and images. 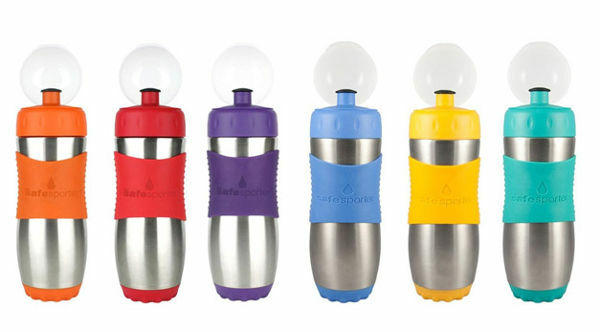 BPA-free, these stainless steel options are $24.95 each. 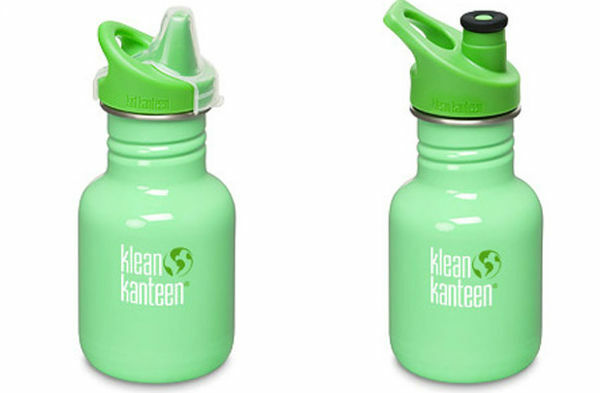 These Klean Kanteen Classic Stainless Steel water bottles come with a lifetime guarantee, and they have a nice wide mouth so you can drop in some ice cubes to instantly cool down the contents. They cost $19.95. 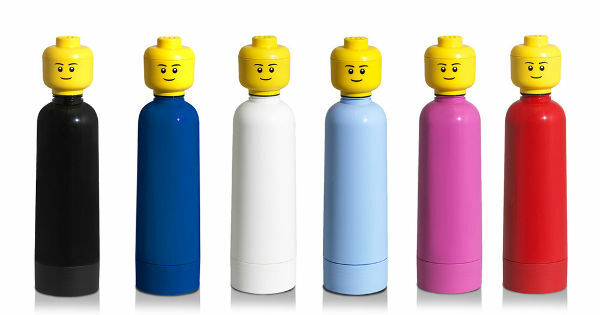 There’s no going wrong with a bit of Lego action, so these incredibly adorable Lego drink bottles will no doubt get the tick of approval from the kids. They’re priced at $12 from Peter’s Of Kensington. 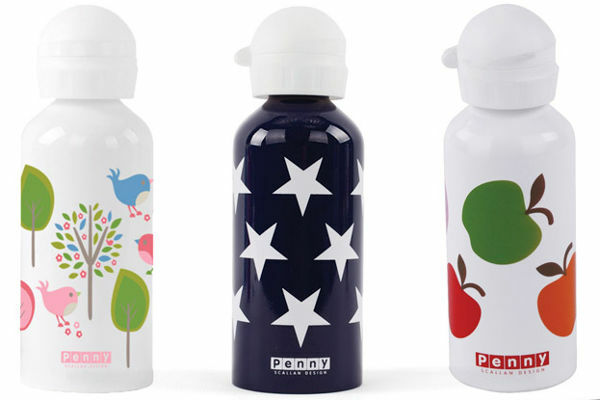 Finally the incredibly pretty bottles from Penny Scallan are a real stand-out, as well as being practical. They cost $19.95.